Although restaurant menu and reservation forms are the most common documents that employees in a restaurant use, there are other significant documents that are addressed as well as required to be filled out by the staff and employees in the restaurant mainly known as restaurant employment forms. What are Restaurant Employment Forms? 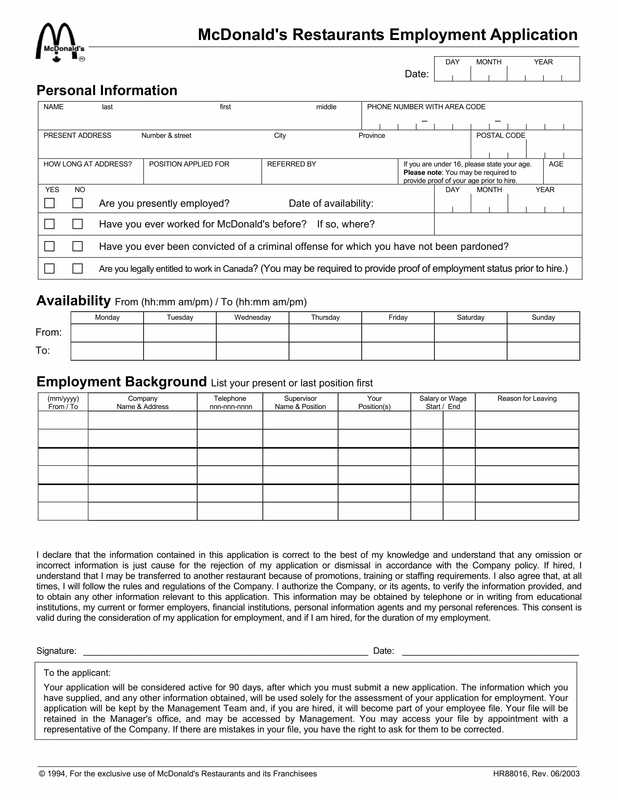 Restaurant employment forms are documents that are used by restaurant hiring managers for their employees as well as the candidates in their job application period. It is important to keep these forms with the other documents of a restaurant employee as part of his/her individual records as an instrument to determine and remind the management about the employee’s roles and improvements in his/her abilities or skills. This application form will highlight the skills and experiences of a job applicant that are related to working in a restaurant. The applicant’s personal information such as his/her first, middle, and last name along with his/her permanent residential address and contact numbers serve as the first section of the form. On the second section, the applicant will have to disclose his/her desired employment which must include his/her preferred job position in the restaurant, his/her choice for the day when he/she will begin working, as well as his/her preferred salary amount and his/her available schedule for taking the job interview. The third section centers on determining the educational and work experience of the applicant which must have the contact information of his/her previous employers. In addition to this, an employment agreement is stated at the last section of the form which is significant for informing the applicant about the hiring process and his/her obligations to disclose all necessary information of himself/herself and his/her status. The applicant must sign the agreement to indicate his/her approval with a corresponding date of when he/she was able to supply his/her details on the application form. In contrary to the aforementioned employment application form, this document will remove a restaurant employee rather than have him/her in the restaurant business. The form is also completed by the manager of the employee and will only be used if the employee will be leaving the company or be terminated due to his/her reckless and unethical actions in the restaurant. There are four sections found in the form that must be supplied with answers by the manager. 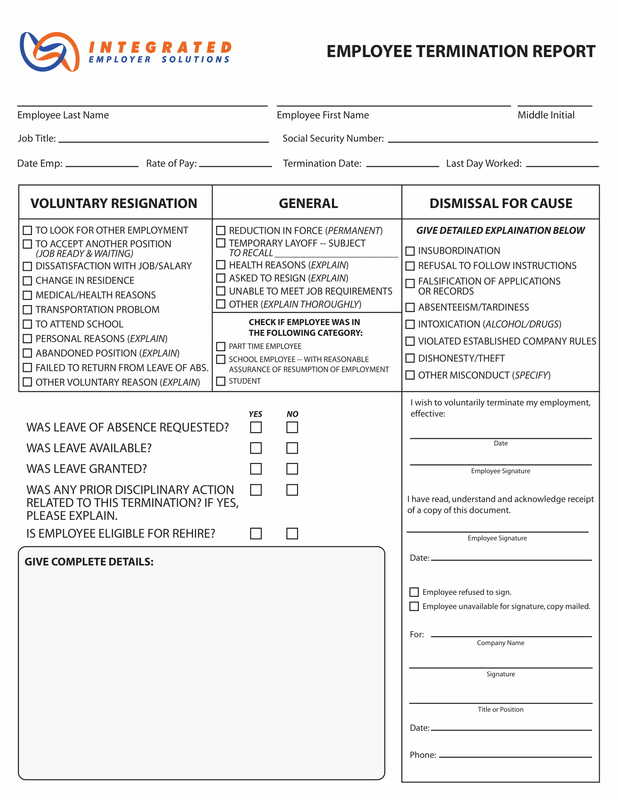 The first section is where the manager will identify the employee to be terminated or who submitted a resignation letter while the second section is intended to determine what type of employment leave the employee is taking whether it is a voluntary resignation, a required resignation due to health issues, or a dismissal due to insubordination and other disciplinary action causes. The third section will be for the details and the explanation of the manager regarding the termination of the employee. Lastly, the fourth section should have the signature of the employee and the manager to certify that the statements and the claims on the form are factual or are true. Interacting with clients every single day must be made not only with a smile but with wit, positivity, respect, and knowledge about the restaurant business. However, there are always those employees who are not able to do their job well enough to meet the required standards of the management as well as the expectations of the clients toward the services that they will be receiving. This is when a restaurant employee warning notice form will be filled out by the restaurant manager and to be presented to the employee who is not performing well for the business. 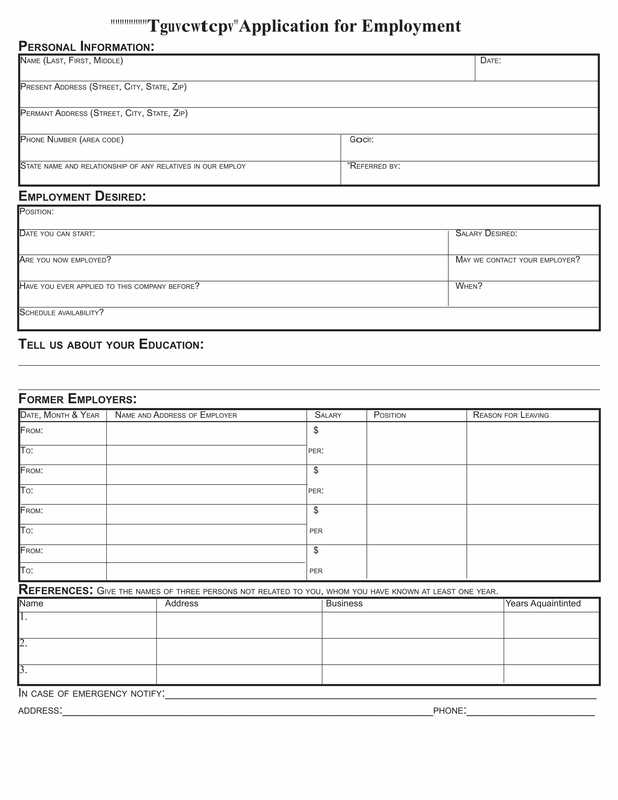 This form is efficient for delivering information and details of why an employee needs to be aware of his/her actions which are unnecessary for the restaurant’s welfare. 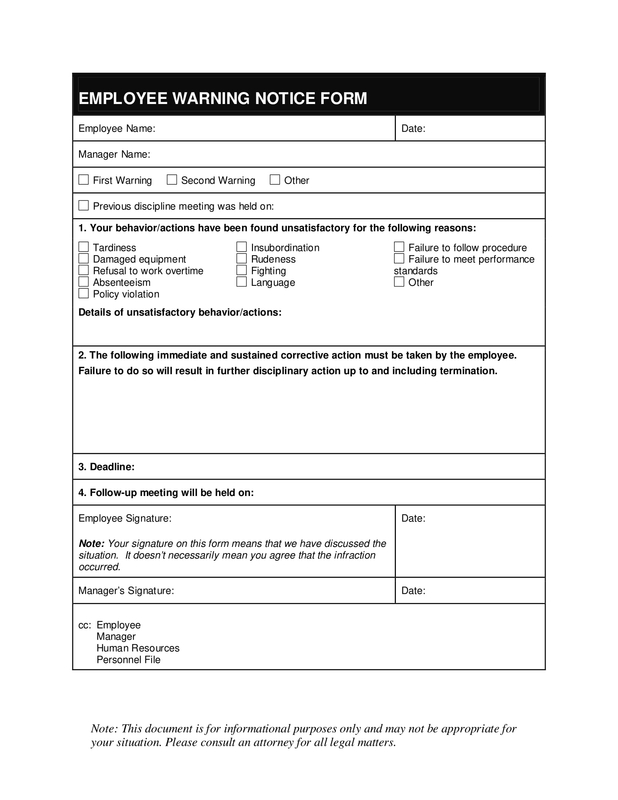 To fill in the form, the manager must primarily state the name of the employee and the type of warning that he/she is providing whether it was the first or the final warning for the employee. Then, the manager must indicate what actions of the employee are unsatisfactory to the business and some details or descriptions of each action. A corrective action must then follow the description as a plan for the employee which will guide him/her toward his/her improvements. To impose responsibility and necessity, the deadline and the schedule of when a meeting will be conducted with the employee must also be written in the form. Lastly, the manager must discuss the warning notice with the employee before affixing his/her signature with the employee’s on the form as an indication that both parties have arrived at an agreement. This is provided to a job candidate who is hired for a position in the restaurant such as a waiter or as the head cook. It is important that the employment contract will firstly state the date of when the agreement was made and the names of the parties who are involved in the agreement namely the employee and the restaurant corporation. The terms of employment, probation, workers compensation benefits, duties, and responsibilities, as well as the conditions that will lead to a termination of employment, are stated on the form. Since this document is considered as a legal form, a confidentiality agreement along with assignment and interpretations of terms should also be incorporated to assure that privacy will be observed between the parties and that both parties have a similar understanding to the statements of the agreement. 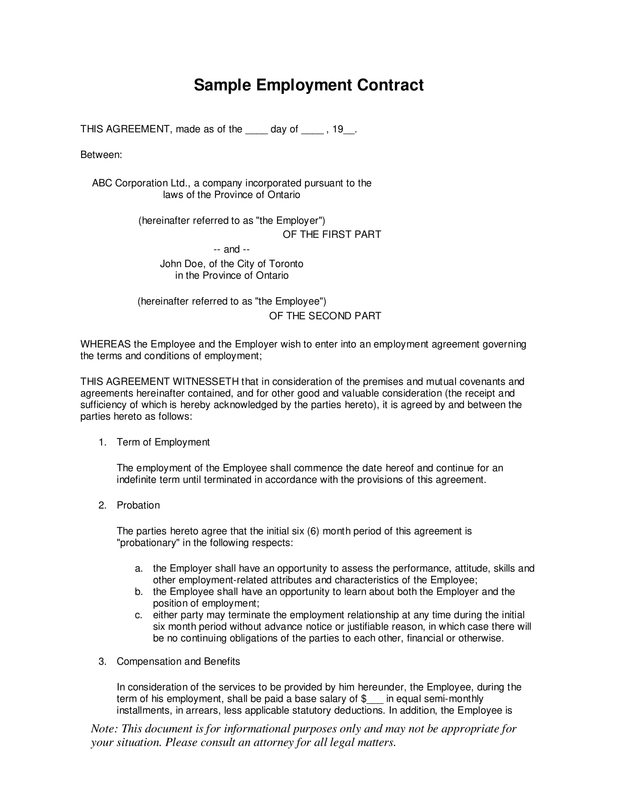 At the last part of the form, two witnesses must affix their signatures to indicate that the agreement happened between the employee and the authorized representative of the restaurant. The aforementioned restaurant form varieties must be recreated or customized before it will be used to assure that the objective of using the form will be met. Nonetheless, the forms must be updated whenever an employee will change a job position to maintain the accuracy of the restaurant management’s records.